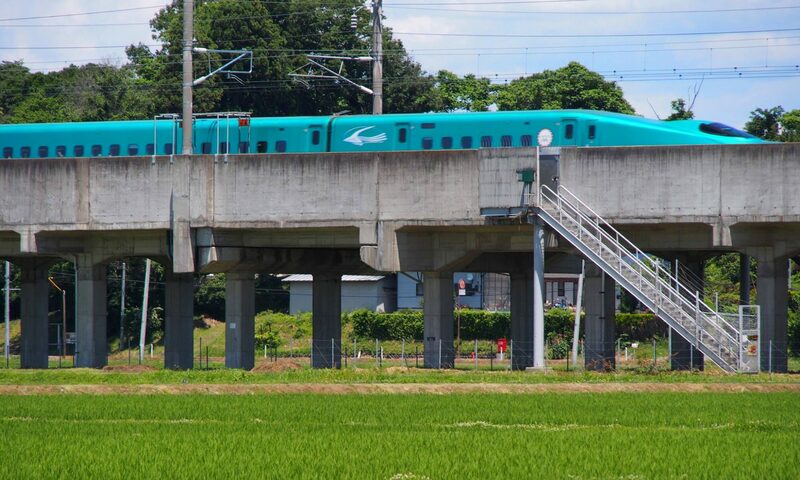 I have been learning about life in Tōhoku since I first visited in 1989. Over that time, I have taken annual trips to the region and spent long-term periods doing ethnographic fieldwork in 1995-96, 1998, and 2001. Most of my work has focused on Iwate Prefecture on t he eastern side of Japan, but I also have done research in Akita to the west. My research has focused on: aging, morality, and dementia; religion and ritual; and demographic change. My current project focuses on small businesses and entrepreneurialism in the region and a also takes a broader look into meanings and representations of rurality in Japan. A recent article related to that research appeared in Asian Anthropology and the next product of that work will appear in The Brown Journal of World Affairs. 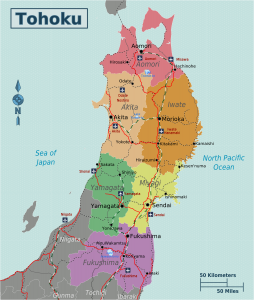 The maps here show the Tōhoku region as a whole and the prefectures in which I have done my research (Iwate, Akita, and Aomori). Most of my work has been in the southern part of Iwate Prefecture in the town of Kanegasaki and the city of Ōshū. I have been visiting these towns since the 1989 and have spent longer stays of 1.5 years and 8 months living in the area. My training involves studies in three different disciplines: anthropology, social ethics and religion, and political science. I received my BA in political science from the University of Massachusetts at Lowell, my MAR in ethics from Yale University, and my PhD in anthropology from the University of Pittsburgh. I did my postdoctoral research as a National Institute on Aging postdoctoral fellow at the Population Studies Center at the University of Michigan. At Pitt, I was fortunate to study under L. Keith Brown, who has been visiting and learning about Tōhoku since he lived there in 1961. In general, my research has focused on the relationship and intersection between culture, religion, and science. There are two broad streams to my research: space exploration and Japanese culture and society. I am a professor in the Department of Religious Studies and also in the program in Human Dimensions of Organizations at the University of Texas at Austin. 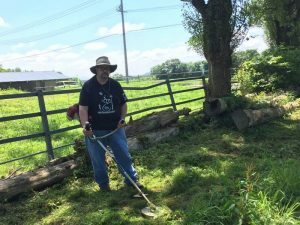 I spend my summers as a visiting professor in the Waseda University Summer Session, where I also lead a group of students on a field trip to Iwate. The Waseda Summer Session is a wonderful program for students to get a deep introduction to Japan. 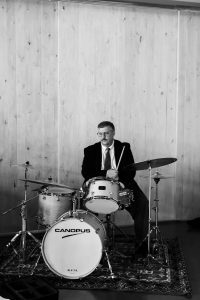 In my spare time, I play jazz drums in two different groups in Austin, my own trio, The Botolph Jazz Trio, and the John Groves Jazz Organ Trio. For me, music accomplishes many of the same things that ethnographic research does–it helps develop an understanding of humanity. Jazz and social behavior have a lot in common. They both involve performance using a predetermined structure upon which people improvise as they interact and exchange ideas. In jazz we call that predetermined structure changes and in society we call it culture. Both jazz and culture are forms of collective improvisation that generate novel ideas and new ways of seeing the world. My goal in creating this site is not to have a website about myself and my research, but to provide a window into the lifestyles and place I have spent much of my adult life learning about through the many good friends who have guided me and tolerated my annoying questions. Thank you for taking the time to look over the site. Here is my full academic curriculum vitae.